News: Official 2018 Chinese New Year Holiday Notice! 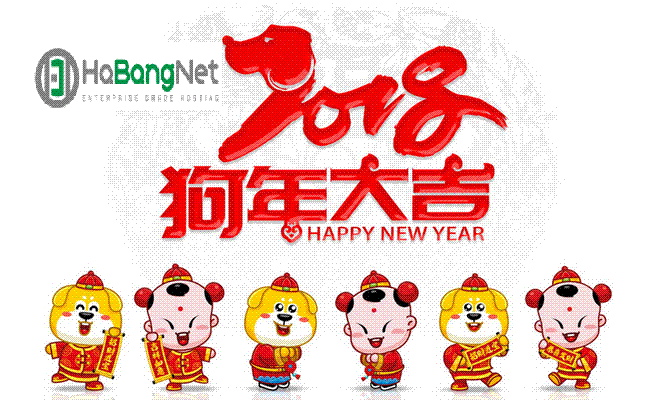 Happy Chinese Lunar New Year Holidays to Everyone from HaBangNet! We would like to wish you and all family a Happy Lunar New Year 2018! Wishing you prosperity, health and blessings in the Year of the Rooster. Due to the festive period, please note that Singapore, Hong Kong and China office will be closed from 15th of February 2018 till 21st of February 2018, and will resumes back to normal hours from 22nd of February 2018. USA and Netherlands Office remain available and in operation during the CNY Holiday. But Technical Support in all locations will remain available during the festive period, all Support ticket will be attended within 24 hours during the festive period. So you can be assured that we're still there working to ensure your website is online. Thank you for being a part of HaBangNet Family members, we hope you enjoying every minute of it. Happy Lunar New Years for 2018!